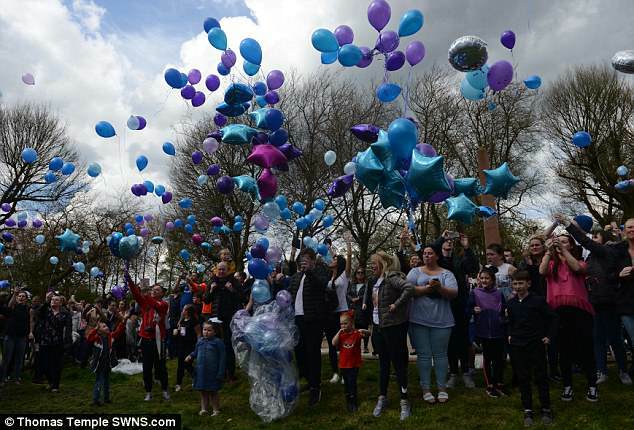 The toddler died at 2.30am today in his ward at Alder Hey Children's Hospital in Liverpool where he had been in intensive care for over a year. 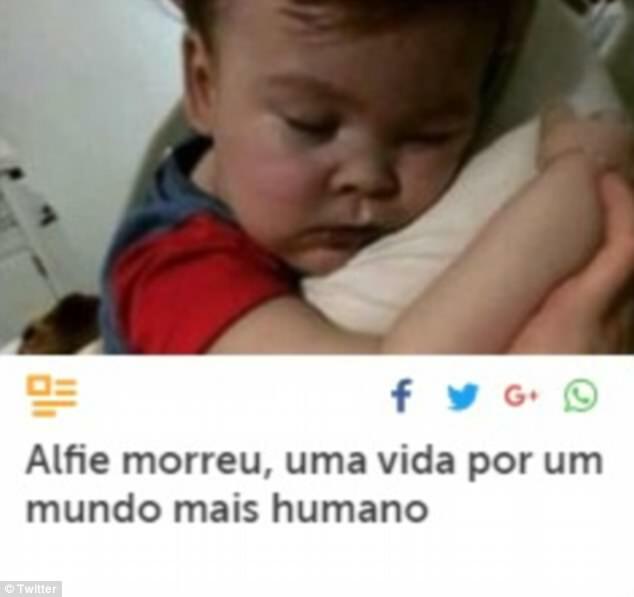 Catholic communities around the world have been touched by Alfie's health battle after the Pope intervened. 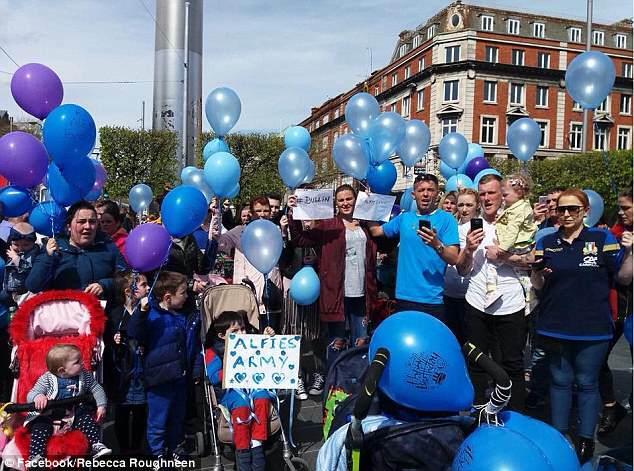 As devastated members of 'Alfie's Army' gathered outside the Merseyside hospital to release thousands of balloons, a similar event took place in Dublin. 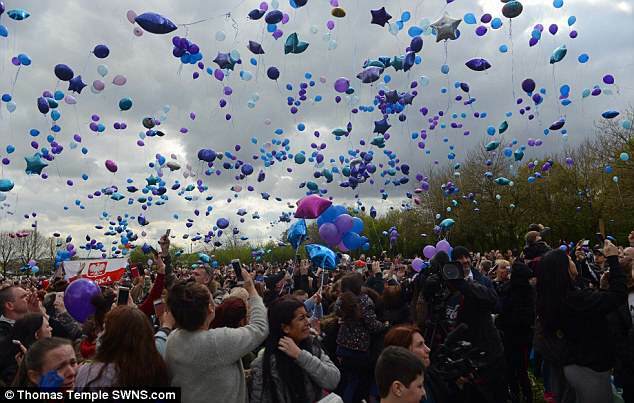 Hundreds of people gathered in Dublin to release blue and purple balloons in memory of Liverpool toddler Alfie Evans Purple and blue filled the sky of the Irish capital in a nod to his supporters' chosen colours. 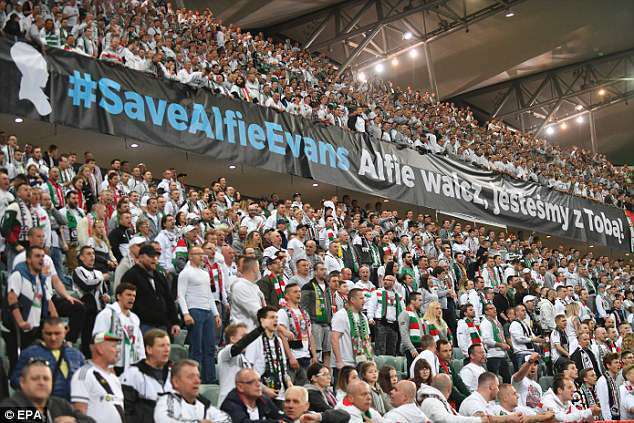 In Kielce, south central Poland, football fans kept their '#SaveAlfieEvans' banner attached to the stands as fans paid an emotional tribute to him. 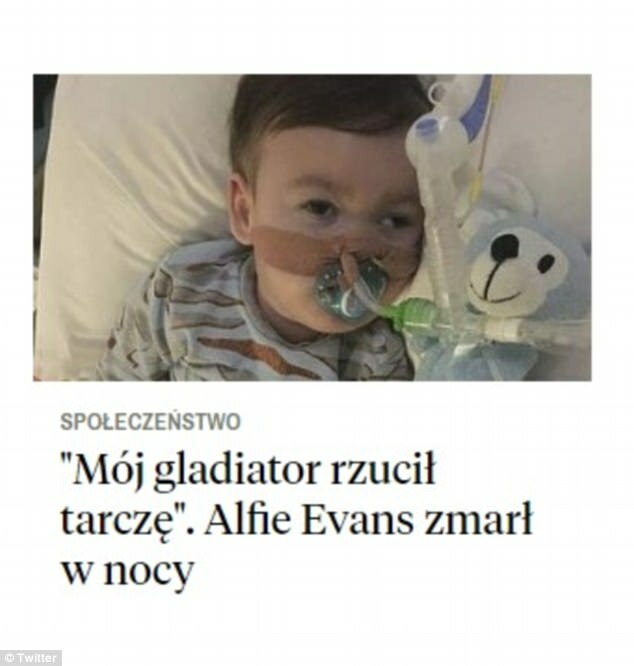 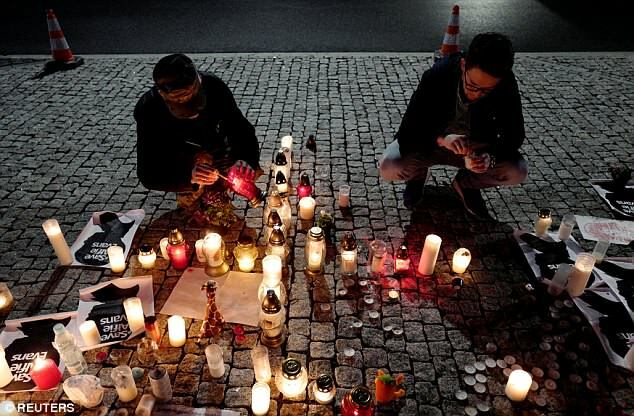 Alfie's father Thomas Evans thanked the Polish community for their support after a candelit vigil was held outside the British Embassy in Krakow earlier this week. 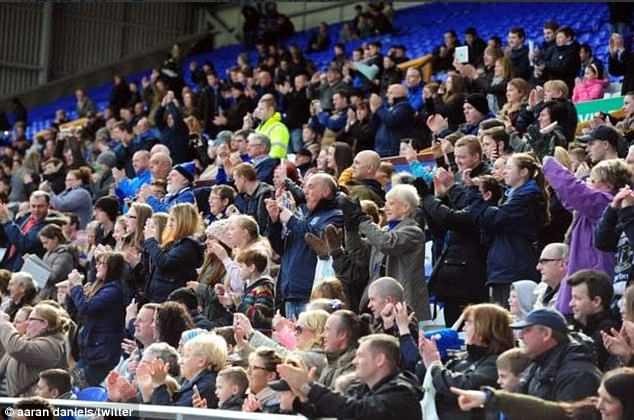 As the toddler's team Everton played Huddersfield Town away this afternoon, fans from both sides stood and applauded at the 23rd minute - after his death at 23-months-old. 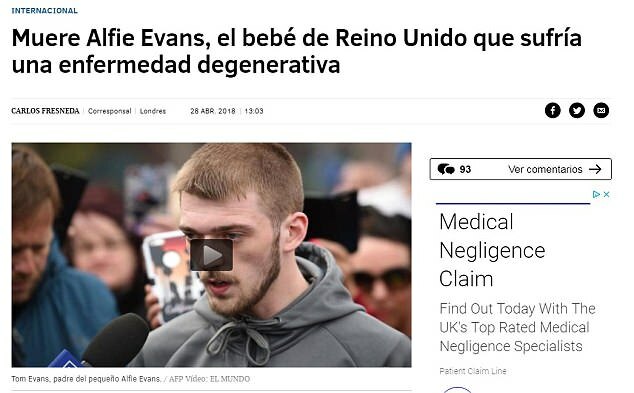 Twitter tributes flooded in from around the world on Saturday after the youngster's battle with his degenerative neurological disease made headlines internationally. 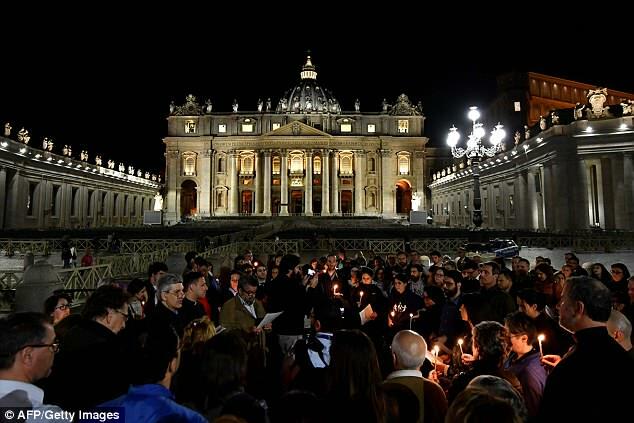 Mr Evans had met the Pope last week to ask for asylum, kissing the pontiff's hand and begging him to 'save our son'. 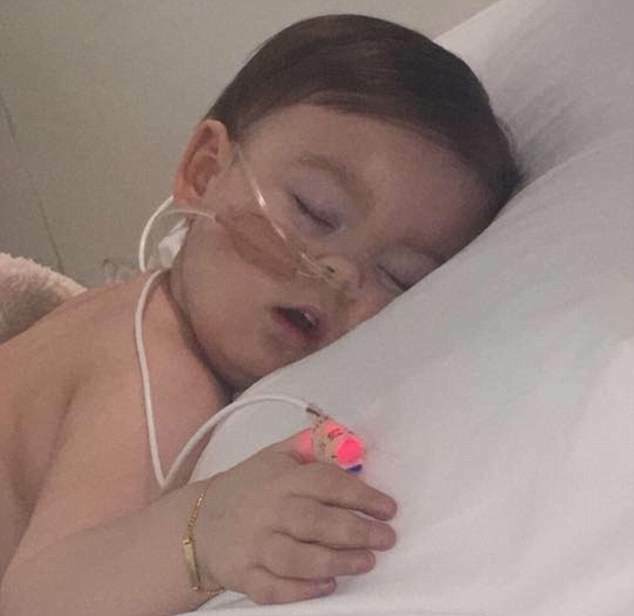 The head of the Bambino Gesu Pediatric Hospital, which is administered by the Vatican, also travelled to Liverpool in a bid to have the boy transferred, saying Pope Francis asked her to do everything 'possible and impossible' to save him. 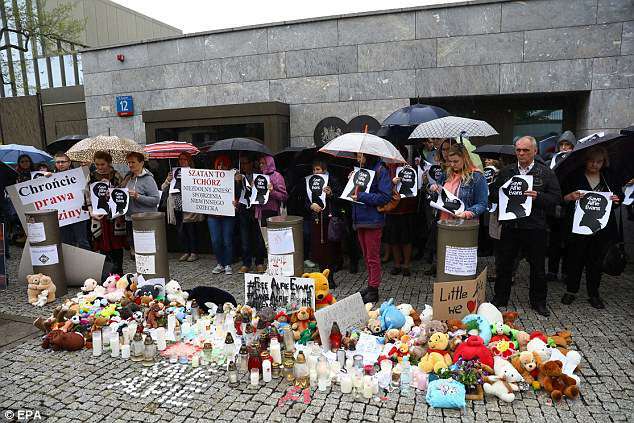 Their case went before the European Court of Human Rights (ECHR) after it was rejected by the UK's Supreme Court, but judges in Strasbourg also refused to intervene, saying the application was 'inadmissible'.